This post needs no introduction, especially if you read Part I of My Biggest Renovation Regrets. But you know I can’t miss the opportunity to talk-talk-talk, so let’s recap! Nineteen months ago, we bought a house. The house was old and abandoned and scary and sad. As a result, we’ve spent the last 1.5 years gutting and renovating the house – and blogging about it in the process. Consequently, lots of mistakes can happen in 19+ months. So today, to your amusement (and my misery), I’m recapping said mistakes here on the blog. Catch up with Part I here; otherwise, settle in for Part II. First (or rather, sixth) on the list of renovation regrets is our antique clawfoot tub. I know, I know. You’re thinking what in the world is wrong with me? Why would I regret such a luxury that others only dream of? Well, for starters, when you buy anything antique, chances are, you’ll have to have a little work done to it to bring it back to its former glory. Our clawfoot tub was in near-perfect condition, so we figured once we polished the brass fixtures and re-painted the feet, it’d be sparkling like new. 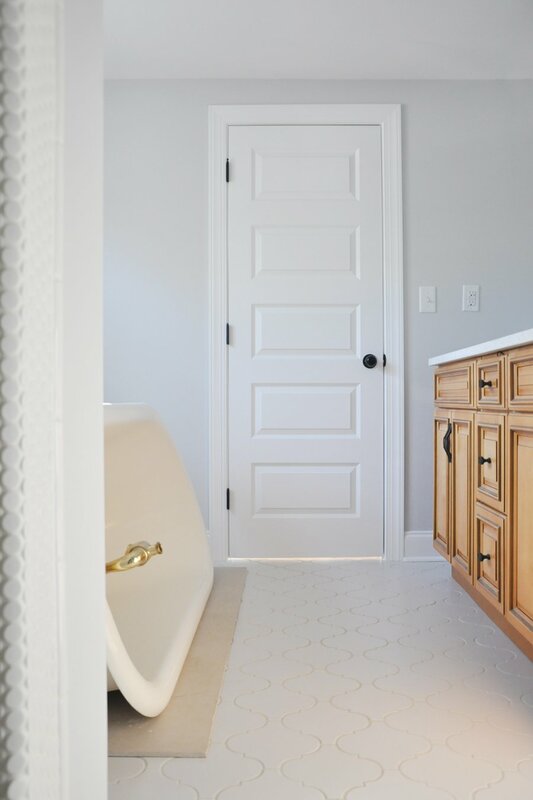 What I didn’t realize (until we had already paid for and lugged the very heavy tub into the house) is that the color of said clawfoot tub was slightly off-white – not ideal for our white and gray bathroom. So while the price of the clawfoot tub was far less than if we were to purchase a brand new free-standing tub (which run anywhere from $3,000 and up, minus the hardware), it’s taking a ridiculously long time to find someone who will resurface the tub for less than $1600 (!!!). And because you all loved the “moral of the story” after each renovation regret in Part I, I’d like to continue that tradition. We once lived in a rental with a ceramic cooktop in the kitchen, which was a complete disaster to keep clean and scratch-free. So when time came to choose appliances, of course I went with a good ol’ range coil top; less maintenance, I figured. It was much easier to throw the drip bowls into a dishwasher and call it a day than use a special cleaning solution on EVERY SINGLE SPILL on a ceramic cooktop. Plus, ceramic cooktops are so sensitive – the one in our rental showed every teeny-tiny scratch. And if you’ve ever placed anything atop a barely warm ceramic cooktop (especially grocery bags! ), you know it’s likely to leave a permanent puddle of goop. Who wants to deal with that nonsense? Come to find out, all ranges are high-maintenance in their own ridiculous ways. Those drip bowls underneath the coils that I thought would be sparkling new after a cycle in the dishwasher? Not so fast… And definitely don’t get me started on the coils themselves! At least a ceramic cooktop looks more streamlined than the traditional range coil top… Hence, my renovation regret. The moral of the story is if you’re choosing between two high-maintenance options, may as well opt for the one that looks better. You may find it hard to believe, but our kitchen cabinets are off-white. In the daylight it’s not so obvious, but come evening-time, the difference is quite jarring to my OCD brain. The cabinetry is yet another example of desperate decision-making triggered by the stress of the bank’s deadline – much like the guest bathroom vanity from Part I of the list. The kitchen had to be functional in time for the fast-approaching house inspection by the bank – yet all the quotes we kept receiving were way, way, way out of our budget. So like any stressed couple in the midst of a full-house renovation, we figured, why not do it ourselves? Maybe I had read one-too-many blog posts on DIY-style IKEA kitchens, but I loved what I saw. How difficult could it possibly be? Let’s just say it was the ultimate test of marriage, but we survived, and it looks pretty dang good – except for one minor detail. In a frenzy to finish the room, I failed to notice that most DIY bloggers used IKEA only for the cabinet boxes; the doors were typically from Semihandmade, a company that offers a vast variety of door shapes, sizes and colors made specifically to fit IKEA cabinets. So the lesson here is that, if your deadline allows, take time to properly research alternatives. Looking back, I would’ve much rather paid the higher price tag for a local company to build and install our cabinets… Not only would it look 100% like what I wanted, but, more importantly, it would already be 100% finished – something that can’t be said of our kitchen, unfortunately. 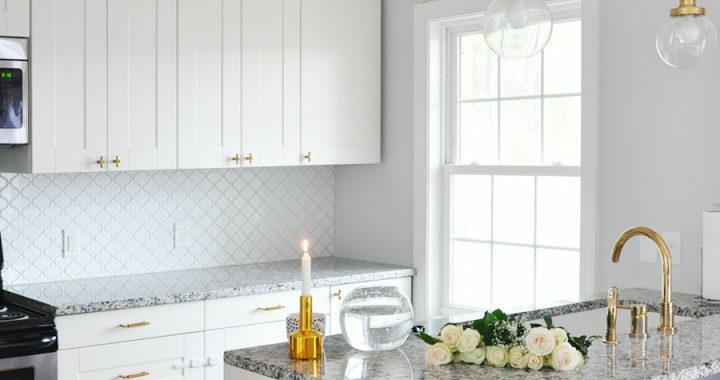 Seems like the kitchen is quickly racking up the longest list of renovation regrets – but not without reason; it truly was the most difficult room to plan, design and execute. The fridge is the last example, I promise. 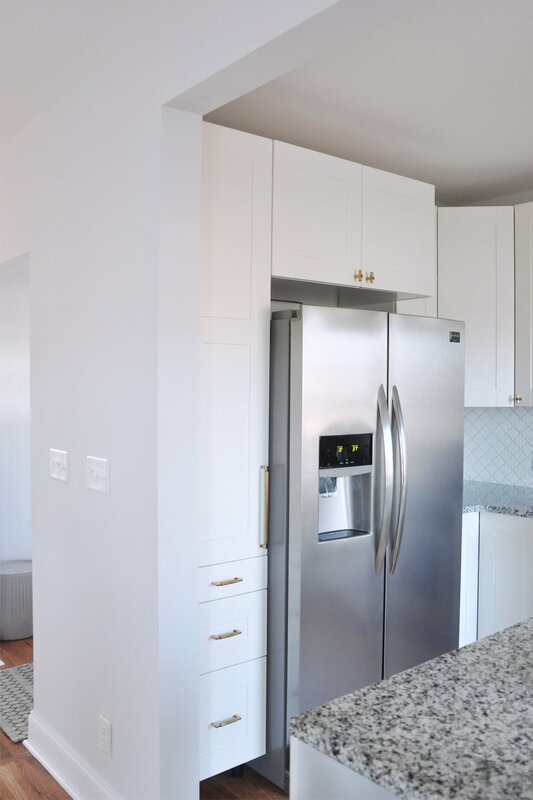 Because we had limited square footage in the kitchen, I purposefully opted to spend a few more hundred bucks on a counter-depth fridge in return for clean, seamless lines and easy access to the corner base cabinet. It turns out, however, that a counter-depth fridge isn’t counter depth, after all. By the time you hook up the ice maker and plug in all the cords, it juts out a solid five-six inches beyond the cabinets. Granted, there’s a way to minimize the issue, but doing so will require lots of extra work – as always, not-so-pleasant news for the husband, who’s already so incredibly patient with my “can-we-please-redo-that” inquiries. So what’s the fix, you ask? If possible, I would recommend carving out a small alcove in the wall behind the fridge for all the plugins, so that the back of the fridge sits flush against the wall, so there really isn’t much space to play with. Not sure just how doable that is in our case, though, considering that directly behind that wall is our entryway. So, the moral of the story is: Double- and triple-check all appliance measurements, but know that a counter-depth fridge will still stick out beyond the counter top. I add this last renovation regret to the list with great hesitation. For starters, once completely finished, our master bathroom will quite possibly be my favorite room in the house. So how could I possibly complain about it, right? In addition, the built-in, custom tiled shower took SO MUCH ENERGY AND RESOURCES – it seems even more disheartening to have to add it to the list of regrets. When designing the layout of the new master bathroom, I dreamed of a frameless, glass-enclosed shower, like this $1500+ option from Wayfair. For the record, the price would be astronomically higher if the hardware was brass or black, like I wanted. 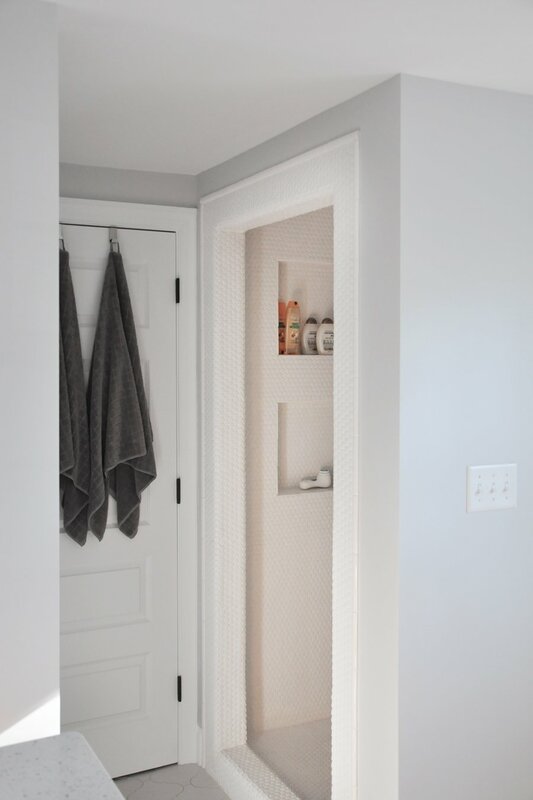 So instead, we opted for a built-in shower niche, thinking this option was the easiest, more traditional for this area and, of course, far less expensive. While that may seem true at first glance, whether this option was truly less expensive is up for debate. For example, it’s possible that the extra tile required for that additional shower wall would’ve bumped up those costs quite a bit. Thankfully, because we partnered with Wayfair to create sponsored content around tiling, we were able to keep some of those costs down. On the other hand, we had to install an overhead light inside the shower, because creating a shower nook eliminated most of the natural light, despite the fairly large bathroom window. Had we opted for a glass enclosure instead, the natural light would’ve been to-die-for, making the bathroom appear so much bigger and brighter. However, neither of us knew a single person who had something similar done in their new build and/or house remodel. So finding a highly-recommended contractor to install the frameless glass enclosure would’ve been a complete nightmare – I just know it. Now, it’s too late to fix the issue, because the shower head and faucet were installed on the wall that would need to be torn down. The only way to improve the situation is to install a frameless shower door instead of a shower curtain, but those babies alone start around $800! In conclusion, the moral of my ramblings is that sometimes the more expensive and complicated option may actually be better. After all, anything worth having doesn’t always come easy, as the saying goes. So… first of all, if you’re still reading, THANK YOU! Whether you’re renovating your own home or simply taking notes for the future, I hope you found this roundup helpful. I am (clearly) an open book, so if you have any follow-up questions, I’m happy to help! Finally, I want to hear from you: What are some of your biggest renovation regrets? Posted in HOME DECOR, OUR BUNGALOW RENOVATION and tagged KITCHEN, MASTER BATHROOM. I am so glad I found your two regret posts! My other half, all our friends and family think that I’m nuts because I regret nearly every decision I’ve/we’ve made with our reno (and I can’t seem to keep it to myself when everyone is fawning over our house). We too did a “purchase plus improvement” with the bank with only a 3 month deadline (insane I know) which we had to extend. 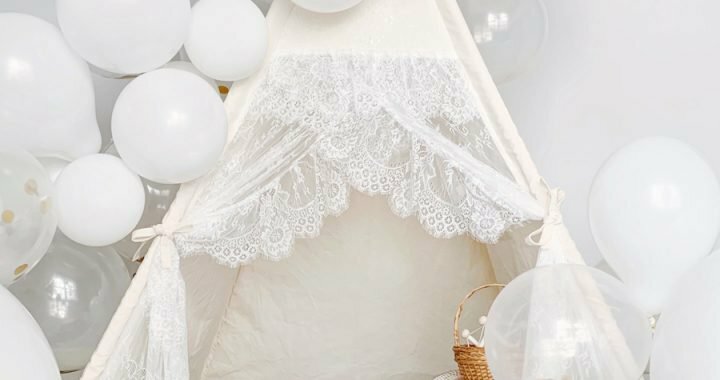 I recommend never doing this, you have to live in a house (and on Pinterest) for quite some time to really know what the best decisions are. We are 3 years into a major reno, doing all the work ourselves on the weekend mostly and I tend to focus mostly on the thing I hate and I keep reminding myself that this is not our forever home and I day dream about what I will do differently the next time around. Your blog posts have definitely helped me feel slightly less crazy. Next reno: don’t cut corners, if you’re already down to the studs then don’t stick to the original layout if it doesn’t work best, don’t cheap out! And design for the future and not what is super trendy right now, simple and classic for the win! Thank you for posting these!! They made me laugh and hurt at the same time because girl, the pain is real and I would love to commiserate! We just finished a ton of updates on our home and after they were done I was like…Ummm crap. This is all brand new and looks sooo bad. The floors don’t look as nice in a full house as I thought. We got luxury vinyl and carpet because of the baby/dog but I didn’t know they would be different heights-PLUS I’m stepping on carpet nails because they don’t lay those covers over the transitions?! We tried to cut corners in the budget and paint the kitchen cabinets ourselves, etc. and it all just looks bad and isn’t right for the space!! I completely agree with your bit to live in a space long enough to get a feel for it because I didn’t know until now that each house is different and what works in one space won’t necessarily transfer to another. C’est la vie. That being said, I love all your pictures and your house looks beautiful from here! :) We’re our worst critics right? Good luck and thanks again!! Re: the glass shower….the water marks would have driven you bonkers. No one has time to squeegee after each shower. 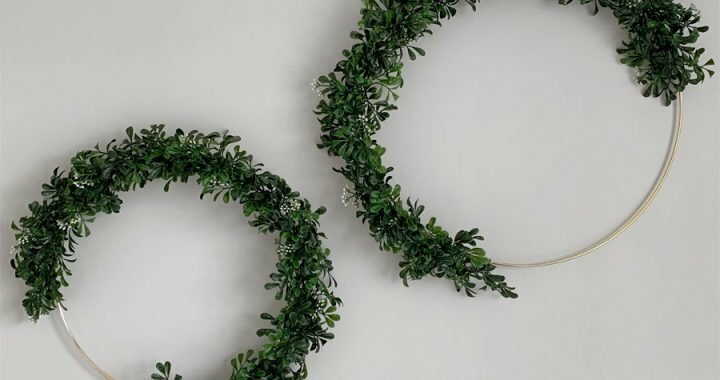 I have to thank you for being so open and honest about your renovation regrets, anyone undergoing a renovation knows that it isn’t always smooth sailing, yet some bloggers only seem to select and highlight the best bits, creating an unrealistic view. This is such a worthwhile read for anyone undergoing or even thinking about taking on a renovation. Took the first bath in our brand new double slipper claw foot tub. It is gorgeous and will sell the house in a heart beat. However, one would think that 60 inches would be sufficient to stretch out in but one looses space because of the slant. Get a longer tub if you are going the claw foot route. I should have bought the 60 inch stone tub instead! I think everything looks great! Remodeling a home is such a huge undertaking. There are bound to be some regrets! Despite all these regrets, your space is beautiful! I still think your place looks beautiful! It’s been fun going along with your renovation journey. I went back and read Part I too! We’re renovating our house so I want to make note of everything! It’s a fun post to show things you don’t like or would do differently. Your house is so beautiful it’s hard to believe that you would do anything differently. Okay, I know that I’m not living in your house, but let me just say one thing: it looks AMAZING! But I know that renovations can lead to regrets, as they don’t always go the way we wanted them to. Great tips! When I was flipping a house, I ran in to some of these issues! Thank you for sharing your regrets with us. I really like the backsplash in your kitchen! I’m currently living in an apartment where I have no control over anything (our walls are a beige color – not so great for blogging photos!). Definitely pocketing your advice for the future. It does look so great though I have to say! It’s so easy to blog about the ‘good’ that came of a project, but I truly appreciate hearing about the things you wish you could have done differently! Being honest like that really can help people who are planning similar projects! Okay the fridge thing would probably drive me crazy…so I can totally relate to your pain there! I know you are obsessing over the off white tub but I’m still drooling over the fact that you have a claw foot tub, I love them! This is so interesting to read because my favorite TV shows are on DIY network and HGTV!! I meant to say the faucet would match the sink rather than the gold hardware on the cabinets. Also, the appliances will be stainless steel. So I would need to look for the gold in a few other places. Possibly lighting and vases. I will def share photos once complete, but that will be a few months haha. Thanks again for your advice. I truly love your blog and every post is so helpful!! Hello! Thanks for this post! We are closing on our fixer upper and will begin major renovations soon. I appreciate any advice you may have, such as these posts. One question I wanted to ask you: We are going for a similar kitchen style. 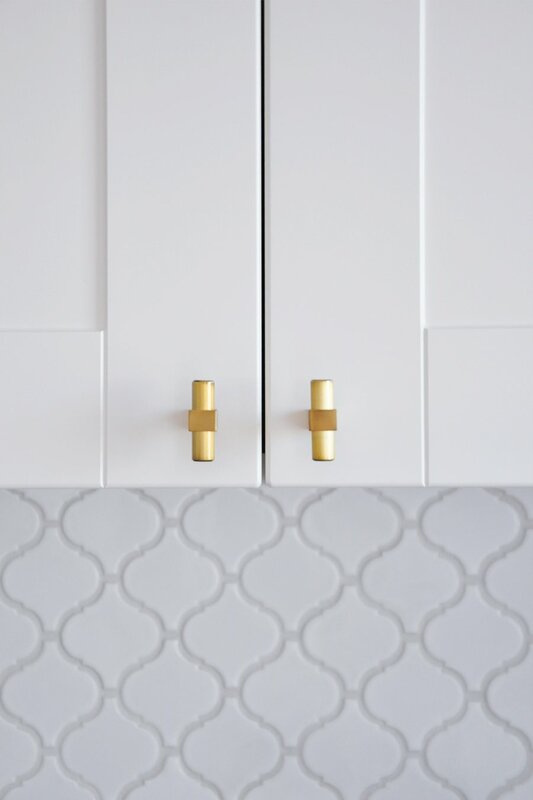 White cabinets, either a granite or affordable white quartz, and I love gold hardware. I think I’ll leave the faucet silver to mix some metals. I wanted to know your opinion on a stainless farmhouse apron sink with the gold cabinet handles. Do you think this would clash? Should we go with a white farmhouse sink instead? Hi Laura! Thanks so much for reading! The question of mixing metals is a popular one that plagues many a homeowner. My rule of thumb is that you can mix as many metals in a space as you want – as long as there are several occurrences of each one, so that the overall design looks intentional rather than contrived or mismatched. A stainless steel sink and gold hardware can look lovely together, playing off each other’s warm vs. cool tones – as long as there are other elements in the room in the same metals. 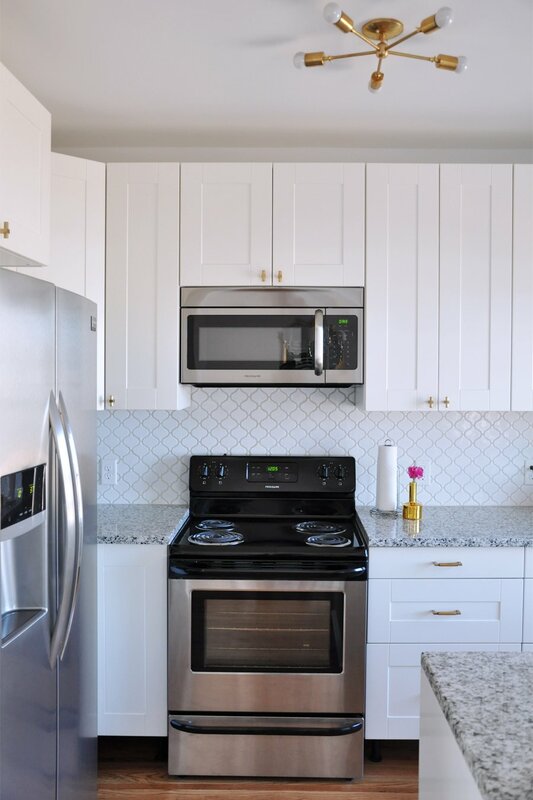 Maybe opt for stainless steel appliances and add a gold vase of flowers? You mention that the sink faucet is silver, which ultimately adds a third metal into the mix. Whether you’re meaning chrome, stainless steel, satin nickel, polished nickel, etc., the same principle would apply to the faucet as well. As long as there is at least one other element in the room in the same metal as the faucet, then the overall look will be deliberate and layered rather than mismatched. The only time I would shy away from mixing more than 2-3 metals is in a small room, where the various metals are all within very close proximity of each other. I hope that explanation helps! Let me know which finishes you end up choosing (bonus points if you share photos!). Also wanted to add that if you like the layered look of metals, it’s much easier (and wiser!) to choose 1-2 metals for the more permanent structures in a room that require a heftier investment (i.e. lighting, appliances, hardware, etc.) and add in additional metals with removable objects like vases, planters, artwork, decorative bowls, etc. 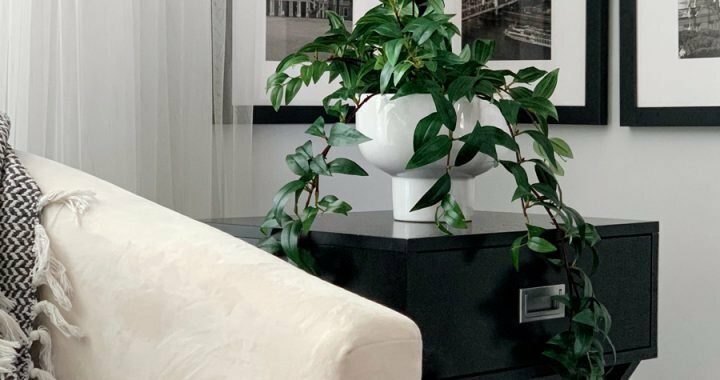 Basically, a good question to ask yourself when choosing metals is if you take out all of the decorative objects from a room, do you have enough consistency in the color story? Or do you have one item that’s brass, another that’s chrome, a third that is stainless steel and so forth…?